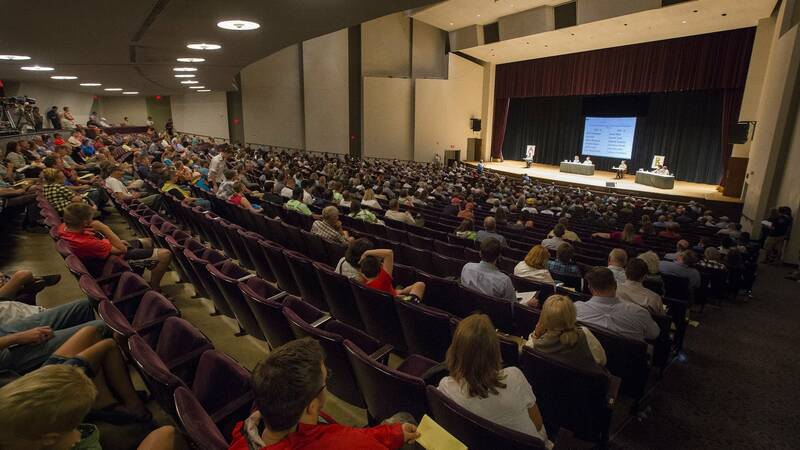 Roughly 500 people filled a Duluth "listening session" held by the U.S. Forest Service Wednesday on two controversial mining leases near the Boundary Waters. The leases have become the latest flash point in the debate over the future of copper-nickel mining in northern Minnesota — and whether the potentially lucrative industry is compatible with the region's rich water resources. Last month, the Forest Service set the stage for the meeting when it announced it was considering withholding its consent for the renewal of the leases held by Twin Metals Minnesota near Ely. That announcement shocked many on the Iron Range. The leases were first granted 50 years ago, and twice have been approved with little fanfare. They form the foundation of Twin Metals' bid to open a huge, underground, $2.8 billion mine near the Boundary Waters town. A 2014 study predicted it would operate for 30 years and create 850 jobs. 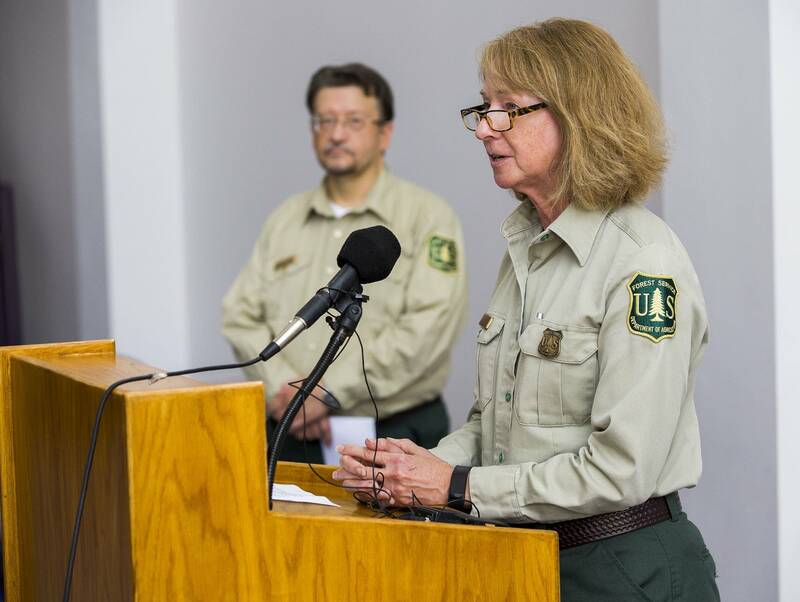 Speaking before last night's listening session, Regional Forester Kathleen Atkinson said her agency is concerned that the location of the leases is in the same watershed as the nation's most popular wilderness area. "We're concerned about water quality," she said. "And we're concerned about ... the ability within a wilderness area to be able to do adequate mitigation [should anything happen with a mine]." The Forest Service says it has not yet made a decision on whether to grant consent. 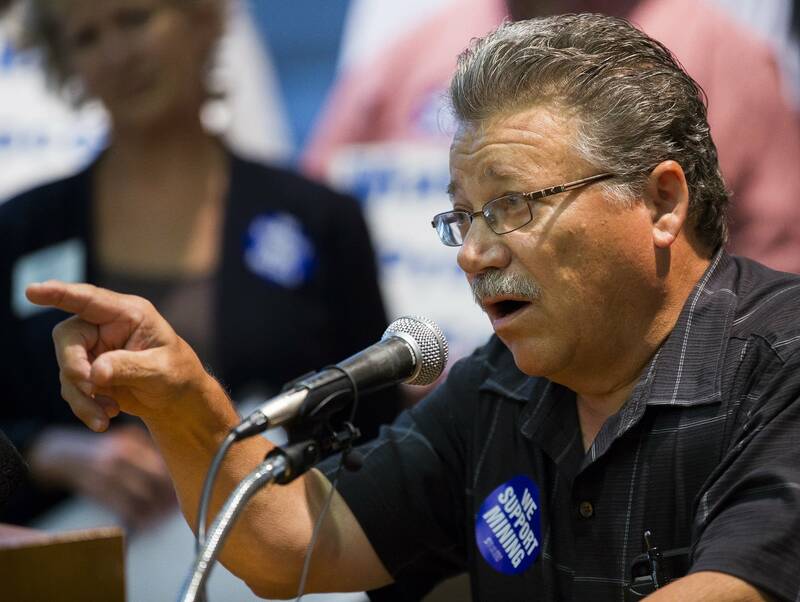 But St. Louis County Commissioner Tom Rukavina told Atkinson Wednesday that it seemed as though the agency has already made up its mind. "When you put out a press release that says you're deeply concerned about sulfide mining, you bias your own opinion," Rukavina said. 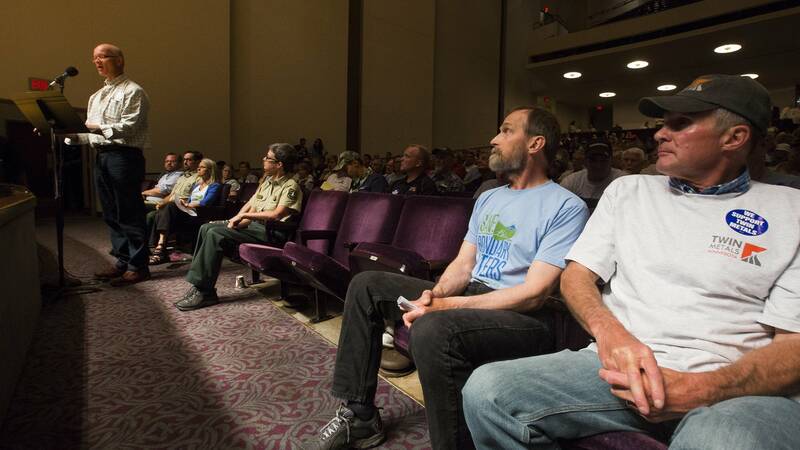 Dozens of people addressed the Forest Service during the two-and-a-half-hour session. 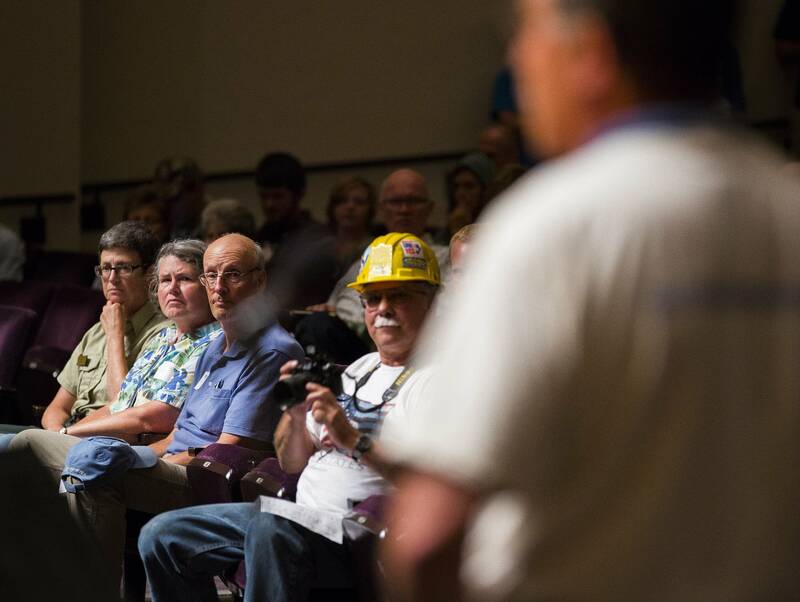 Their remarks echoed the same themes that emerged during the debate over PolyMet Mining, which is aiming to open the state's first copper-nickel mine, though outside the Boundary Waters watershed. Babbitt Mayor Andrea Zupancich said her town is desperate for the jobs a mine could provide. "We need these jobs in our town to survive," Zupancich said. 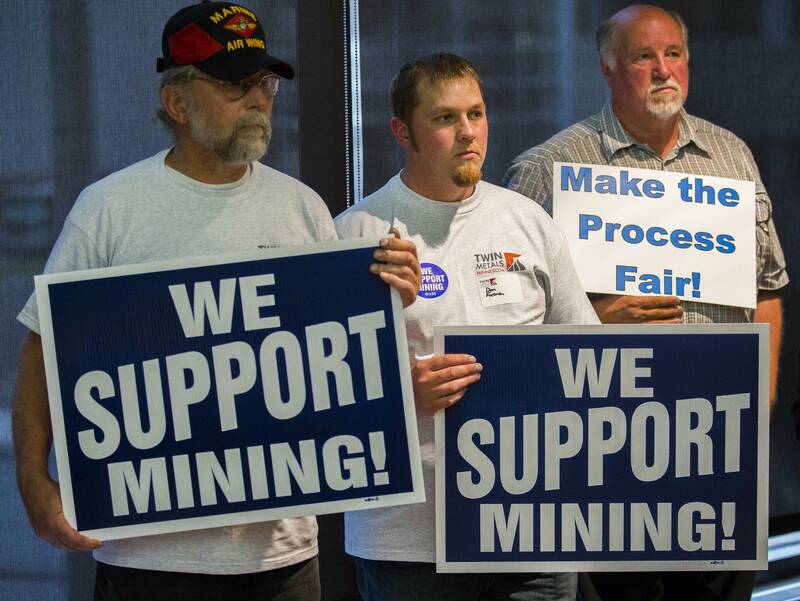 "Mining lives matter, as well. This is not a mine yet. We want to explore the possibilities." Others said the potential economic boom is not worth the risks associated with copper-nickel mining. "There simply are some places on this earth that are too special to allow this type of mining," said Jane Koschak, owner of River Point Resort, "The watershed of the Boundary Waters is one of those special places." Koschak's resort on Birch Lake outside of Ely is right next to Twin Metals' lease holdings. "Copper can be mined in many places. It simply is not rare. 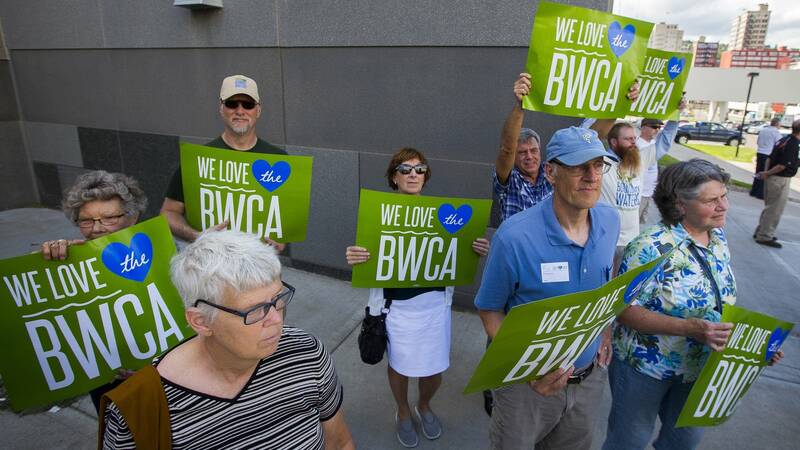 On the other hand, the BWCA is a rare, precious gem," Koschak said. But Twin Metals argues now is not the time for the Forest Service to consider environmental impacts of a potential mine, because it hasn't even submitted a mine plan yet. Spokesman Bob McFarlin says that's not expected for two more years. "What Twin Metals is looking for is a fair, objective and impartial process from our federal agencies that follows the law in renewing these leases and doesn't follow fear and pressure from advocate organizations that oppose mining in northern Minnesota," McFarlin said. Much of that pressure has come from the Campaign to Save the Boundary Waters, which says it has gathered 55,000 petitions urging the Forest Service to deny the leases. 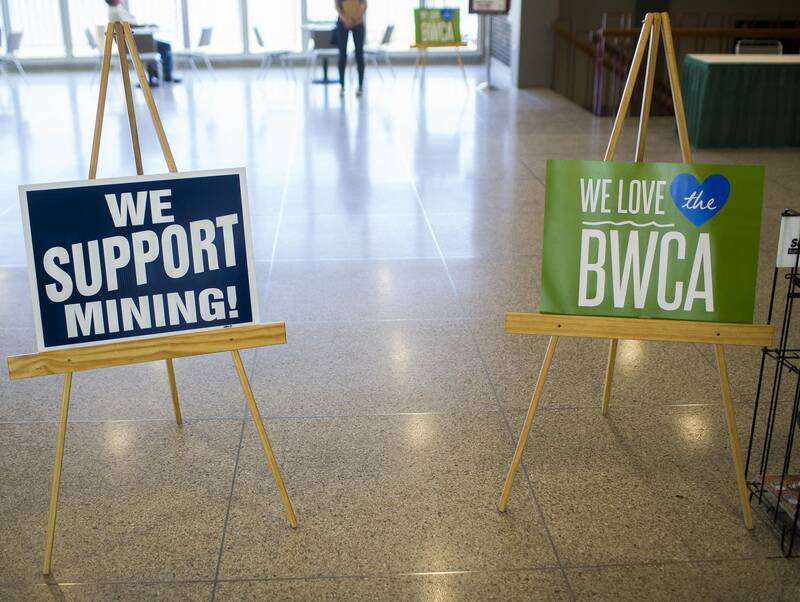 The campaign's Becky Rom says federal agencies should decide now whether the area is appropriate for copper mining, before specific mine plans are submitted. "This is the time for us to consider whether the watershed of the Boundary Waters is the right location for an industrial mining district," Rom said. "That decision must occur at the time leases are issued, because these issues grant the right to build a mine and extract minerals." Atkinson insisted the Forest Service is following the proper process. "We are going to use sound science," she said. "There is a significant amount of research out on similar mine operations. We will use that data, that science and public input to make that decision." While Twin Metals also holds state and private mineral leases, McFarlin called the federal leases "the foundation of the project." "The way the leases and minerals are all intermixed geologically, it's very difficult to imagine being able to do a mine without having permission to mine all the types of minerals that we have under lease," he said. The company's efforts are further complicated by Gov. Mark Dayton's opposition to mining in the Boundary Waters watershed. In March, he ordered the state Department of Natural Resources "not to authorize or enter into any new access or lease agreements for mining operations" there. The debate over Twin Metals' leases hasn't generated quite the same fervor as the fight over PolyMet. While PolyMet has now begun to apply for state permits, any potential Twin Metals mine is still likely a decade away or more. But the impacts of this struggle could be even more far-reaching. In addition to Twin Metals, several other companies are exploring for copper, nickel and precious metals in the Superior National Forest, within the watershed that drains into the Boundary Waters. Julianne Motis, an environmental engineer with Foth Infrastructure and Environment in Duluth, said the Twin Metals decision will influence those other projects. "To not renew these leases is going to send a chilling message to companies across the world that, wow, Minnesota seems very capricious, very unpredictable, not a good place for us to invest," Motis said. The Forest Service will hold a second listening session in Ely next week. The 30-day public comment period on the lease renewals ends July 20. Daryl Spencer of Duluth summed up the views of the majority of speakers at Wednesday's event when he told the Forest Service he's not against mining; he just doesn't support it in the same watershed as the Boundary Waters. "I want jobs for Iron Range families," Spencer said. "This is just a bad place for this type of mine, and it's not worth the risk." Correction (July 14, 2016): An earlier version of this story noted an incorrect end date for the Forest Service's comment period. The story has been updated.